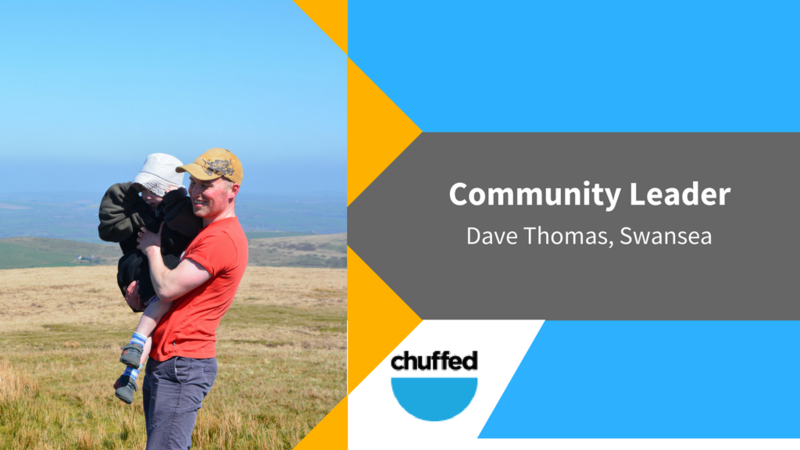 Meet Dave Thomas, Chuffed.org's Community Leader based in Swansea, Dave works on community development with a focus on helping the community he's involved in grow food as an alternative to the food bank model - read on to see how crowdfunding has become to be a part of his work! From a young age I loved spending time outside making and fixing things. I've always carried this with me and have an eye for opportunities in which I can make a difference. This has led me into many interesting places. Every year I set myself the challenge of having a positive impact on a local, regional and international level. It is not always straightforward but I am proud of some of my achievements including supporting people across Wales to establish food growing projects, taking a lead role in the building of a low impact community building in Pembrokeshire and organising international volunteer work-camps from 2014 to 2016 at a community farming project. I recognise the trials and tribulations of social and environmental projects but also the shear joy and lifetime memories that they create. There are many facets to the success of any social cause project - funding is but one of them. I want to demystify the process of securing funds through crowdfunding so that, in spite of clear inequality in society, people can tap in to funds to help make their projects happen. I have been involved in crowdfunding for over three years now and managed to secure many thousands of pounds for good causes. I have used different methods including fundraising parties, funding through corporates and by reaching out to individuals and the third sector. I'm passionate about food and in particular access to high quality healthy fresh food - I feel that this is a basic human right. I feel strongly that supermarkets and food manufacturers are a big part of the problem. Likewise, what kind of society allows people to be fed from food banks? And these same food banks rely heavily on the good will of others to donate surplus food. I also feel that access to land is massive issue and in my work as a Community Land Advisor I am working with landowners, from both public and private sector, to identify suitable land and make it available for communities to grow food on. Having been director of a community supported agriculture project for three years (which grew food for over fifty families) I appreciate first hand the tremendous amount of effort that individuals put into social causes and feel that I have a wide array of experiences to call on, the good times and the bad, that I can share with participants. Funds raised will be dedicated to the development of a new playground in the village where I live which has the aim of getting children outside more and doing what children do best - play!